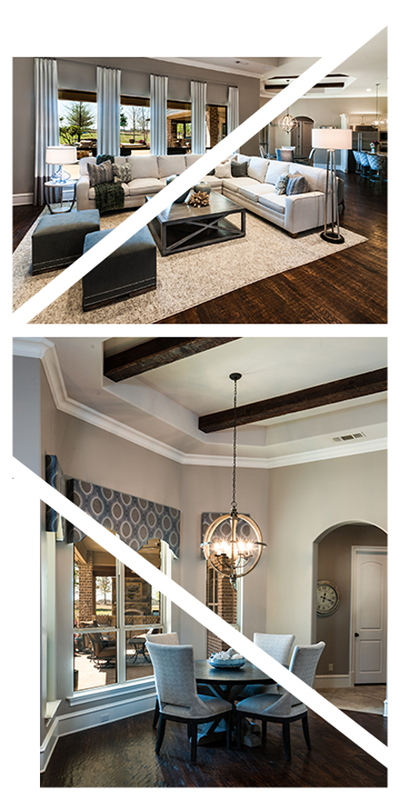 Stephanie Kratz Interiors is an upscale, award winning design firm, established in 2003. We pair our passion for beautiful interiors with today’s styles to create a luxurious feeling for your home or office. Whether your project entails space planning and consulting services, a fresh modern enhancement of existing furnishings or a fully customized design plan including project management, let our team lead the way. We also work with new build construction homes from the ground up for materials and specifications all the way through to furnishing selections, placement and complete design finish out. Larger, full scale projects is our specialty! 1. relating to the present or recent times as opposed to the remote past. -- "the pace of modern life"
synonyms: present-day, contemporary, present, current, twenty-first century, latter-day, modern-day, recent "modern times"
A full service Dallas Interior Design Firm, Stephanie Kratz Interiors offers her clients the highest quality design and service in their furnishings, new construction, and remodeling projects. We have built relationships with trade professionals, artisans, and artists, allowing us to create interiors with exceptional craftsmanship, quality and functionality. With a design studio, being established in the wholesale trade market and sourcing from a wide range of exceptional manufacturers and artists, we create and deliver the custom attainable looks our client’s desire. We provide project personal guidance and project management for all of our clients from design conception to project completion. By combining a blend of traditional sensibility and modern appeal with distinctive techniques, Stephanie Kratz Interiors creates a unique and timeless space just for you. With a background in interior design as well as fashion, Stephanie Kratz is a synthesis of creativity, elegance, tradition and style. Trained in New York, a leading world capital of design, at Fordham University, (formerly Marymount College) and Rhodec International, this multi-talented artist is a true creative visionary. With over 15 years of experience, continuing education and a deep appreciation of beauty achieved through the art of design, Stephanie Kratz’s innovative works express an impeccable flair and unique artistic abilities. Stephanie is an active member with the Dallas Fort Worth Chapter of the Interior Design Society (IDS), one of the country’s leading design organizations. Most currently holding the Vice President Board Position for her local chapter. IDS is dedicated to serving the residential interior design industry. Stephanie Kratz can be found on the IDS website. Staying active and giving back to her community is important to Stephanie. Each year, Stephanie gets involved with Charity organizations. In 2014, through her involvement with IDS and Dwell With Dignity, she led the design plan and implementation for a comprehensive overhaul of a two-bedroom, two-bathroom apartment for a night student mother and her 2-year-old daughter transitioning out of homelessness. Our firm practices the philosophy of reflecting our client’s desires with our expert creativity and design. We build lasting relationships with our clients, always striving to create balance and comfort in your home or office. Listening to and understanding our clients is how we begin. Then we personalize our work, bringing to life a home or office to carry out your everyday activities. By combining a blend of traditional sensibility and modern design with distinctive techniques, Stephanie Kratz Interiors creates a unique and timeless space. Our Design Services for the home will make you feel like you are living in your dream home. Whether you are building from the ground up or simply redesigning and updating your home, we can provide transformative Design Services. From consultation to renovation, to furnishings and finishing touches, Stephanie Kratz Interiors will create a space that is fabulous and beautiful without sacrificing functionality or livability. We pay attention to your home’s architecture, flow, color theme, lighting and much more. No detail escapes our notice or our personal touch.